With all of the turmoil that has been going on are you feeling particularly restless? In part, you feel restless because the external world is particularly chaotic at the moment. But mostly, life feels that it’s upside-down because of that one issue in your own life that has perplexed you, haunted you, annoyed you and followed your around for all this time. You know the one that I’m talking about, right? You know what? It doesn’t define you. But you think it does. So much so, that you are feeling uncomfortable that I’m bringing it up this issue and that I’m drawing your attention to it. 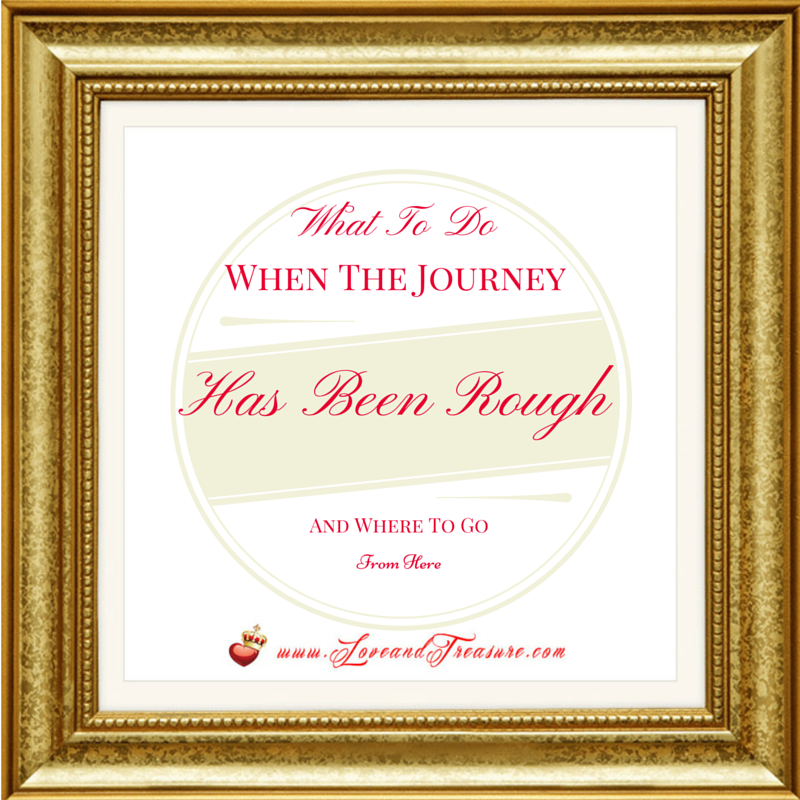 So Why On Earth Am I Bringing Up That The Journey’s Been Rough? 1) Because the state that the world is affecting you MORE than it would be if you at least had this issue under control (for real) or you had even resolved your issue. Life wouldn’t feel AS uncertain. It wouldn’t be AS scary. 2) Other than spreading love, acceptance and kindness, you cannot change THE world but you can change YOUR world. 3) That one issue of yours is keeping you prisoner. It’s tied to your self-esteem, to your self-love, your self-worth, how you think the people in your life view you, what you think you deserve, what you think you don’t deserve and it’s even tied to the future you envision for yourself. 4) You’ve tried to keep this issue like a beach ball under the water for soooo long that you’re starting to fear that it’s part of you. That you’re never going to change it. That the sucky part of your life now will be the sucky part of your life 10 years from now. And I’m here to ask you: Is that what you want? If not, you better start doing something about it. At the very least, you have to change your mindset regarding this issue. You have to stop letting it continue to be the monster that you’ve let it become. 5) I repeat, it doesn’t define you. And it certainly doesn’t have to define your life or your joy. 6) Most importantly, continuing to sweep this issue under the rug will not allow you to really face what’s going on. 1) Take out a piece of paper or download the PDF here. 2) What is that one issue that you have swept under the rug again and again? Spell it out. Literally. 4) How long has this issue been affecting you? Or perhaps the more accurate question is… in what year did this deal start to become a big deal? 5) How many times has this issue surfaced all the way to the top of your pile of worries in your life? Count them. I know it’s scary to go down this dark and painful memory lane…. and actually notice (perhaps for the first time) that you most likely have experienced this issue more times than you thought. 6) Now that were gathering the courage to see this issue in the light, ask yourself, “Is this issue the same issue that your partner is experiencing?” If so, how many times have they experienced it? And just to be clear, the type of issues that I’m talking about here is the type of issues that come to mind when we hear or when we say “For better or for worse,” in our wedding vows. In other words, we’re talking about the hard times you’ve had that have affected both of you. 7) Add those two numbers together. Or if it’s just your issue, feel the weight of that number. (Even if it’s one, it still is very heavy). 8) Now do what’s almost impossible…. take that total number of times this has happened in. Gulp… and swallow it. It’s yours. Own it. Resist the urge to block it, deny it, regurgitate it, forget about it, convince yourself it didn’t happen, distract yourself from it or sweep it under the rug one.more.time. 9) Does taking this number in mean that you chose what you did? Maybe, maybe not. 10) Does taking this number in mean you were dealt this card? Maybe, maybe not. It doesn’t matter so much for this exercise how this issue got here, only that it did. So let’s stick the present to fully process the impact this issue has had and how it truly makes you feel. 11) If you feel mad…be mad. If you feel sad, be sad. Repeat “OMG!” or “I can’t believe this!” as many times as you need to. 12) If this is an issue that involved hard times that you and your spouse have been through consider sharing it with them…especially to acknowledge their pain. Word of warning, remember you’re just sharing this with them. Don’t expect any type of positive response. Maybe they have a lot to say about this, maybe they don’t. The point is to validate them, not for them to comfort you. Got it? Okay, good. Or if you prefer to give them the opportunity to discover what issue has been sucking the life out of them for themselves, feel free to share this post with them. At the very least, if you’ve shared the same issue, you should feel a sense of a companionship. You’ve been through this together. You’ve survived it once or several times, so the chances of you surviving it again are high (as long as you’re not harming each other in the process). 13) Realize that if you’ve been feeling down, worried, anxious, scared, out-of-it or at a loss it’s normal, especially if the number of times you’ve experienced an issue is high. Just because you’re feeling the pain or have had this issue for so long doesn’t mean that you’re weak. It doesn’t mean you’re a loser. On the contrary! Think about how strong you’ve been that you’ve been able to continue life in spite of this even when life seems unbearable because of this issue. Think about how you’ve tried to make the best of life regardless. As you’ve had to deal with this issue for the last week, months, years or decade, perhaps you’ve been feeling more blue than usual because you don’t think that anybody in your life would understand what you’re going through, so you’ve kept everything inside. Or, you may have shared your concern with one or more people only to realize that their response to your issue was unsatisfactory. They dismissed your worry as if it was nothing. And that, pissed you off, in all honesty. So listen to me, if it’s a big deal to you…. it’s a big deal. Period. I’m not gonna sit here and tell you that what you’re going through is nothing when it is actually a legitimate concern of yours. It’s sad that sharing your concern is sometimes more shaming than helpful. So like Brené Brown says, make sure that the people you share your concern with have earned the right to know. Most likely, it’s just one person who has earned this right. But even with them, don’t expect the perfect response because you might not get it. If you’ve reached the point in which you understand that sharing is pretty much almost pointless, and you would rather just not share… more power to you. The point of this post is not to minimize our concern or to make it soooo big that it paralyzes us. 1) Have compassion for yourself (especially after you do the exercise… if you haven’t done it yet, what are you waiting for?). Realize that life has let you down with this issue that’s been popping in and out of your life for a while. Or perhaps it’s you that let yourself down. Be gentle. Acknowledge the hurt. 2) Ask yourself this question: Is this issue in fact sooo big that you can’t overcome it? If you believe you can overcome it, what’s on the other side of this hurt? What is the one thing that you can do to start helping yourself? We’re all different. Some of us are the self-sufficient, grin-it-and-bear-it types. Others… need a helping hand. The type that can figure what they can do to help themselves because at this point they feel really lost. The type that needs help from others. The type that knows how they can help themselves and just needs to apply it. Regardless of the type of person you are, break the things that you can do into smaller pieces. Don’t try to fix everything all at once… because it most likely will become overwhelming and you’ll just give up. 14) Acknowledging your weakness makes you stronger. 15) It is a big deal. 18) Have compassion for yourself. Be proud of yourself and your resilience. Congratulate yourself for knowing that you deserve better. 19) Is this issue in fact sooo big that you can’t overcome it? If you believe you can overcome it, what’s on the other side of this hurt? What is the one thing that you can do to start helping yourself? 21) Brainstorm 10 ways you can get out of this rut. 22) Read the list again, which of these 10 ideas would create the biggest positive change? Why? 23) Break this one idea into baby steps that will help you move forward. 24) Schedule them into your calendar. You would be surprised how just doing this one thing increases the likelihood that you’ll accomplish these benchmarks. Make sure that the dates you choose to complete the task are challenging and doable. Want a little boost? Draw a checkmark next to each of these baby steps so that you’re more incentivized to check them off. 25) If you’re not ready to work on the solution for this issue, and you just want to sit with it for a while, and think about what the best course of action would be for you, TOTALLY do that. There’s no shame whatsoever. You’ll be ready to move forward precisely when you’re ready. The events going on in the world can make the time that it takes for you to be ready a little longer than usual or shorter, depending on how in need you are for positive change. The issue you’re facing is not more important than the important people in your life… so dedicate time to them, too. Even when this big issue of yours is resolved, there will be other issues. (I know. I don’t mean to be a party pooper. But you’ve seen it. Even though you may no longer have issues from 10 years ago doesn’t mean that you don’t have issues now. So bottom line? So as much as possible, learn to show Life that you “get” the lesson in that issue of yours so that you can “pass,” have some worry-free “free-time” for a little bit, and have the confidence in yourself to overcome the challenges that you later face. As they say, if it’s true that the hard times are there to help you appreciate the blessings you have… then focus on the good things in life, and maybe, just maybe the challenges will see that you’re busy enjoying life and will leave you alone for a little while longer. Remember that what you resist persists… so view the challenge as what it is… as something that you’re being invited to resolve. As a level to pass. As a lesson to learn. What issue has been giving you a hard time for a while? What is your next step to tackling it? What was your “aha moment” in reading this post? Share you answers with us in the comments below. How Good Of A Communicator Are You, Really? Is Fé Fit A Good 90 Day Workout Program?